Hiking along the Cedar Run trail at Skyline Drive, Virginia. USA. 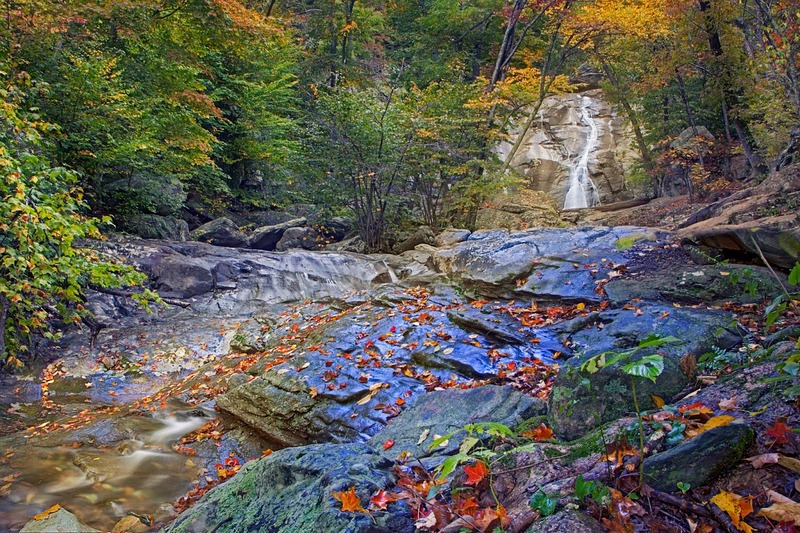 “Granite Falls” is a composite HDRi produced from separate foreground and background elements. Three long exposures (13 sec. mid.) @ 1 stop interval brackets comprised each component.